Gmail is one of the widely popular email services in the world at the moment. It is being used by millions of people for their professional as well as personal communication. There’s no doubt about the fact that it’s the best medium for sending and receiving email messages as well as other important files. With Gmail introducing incredible features every now and then, we can’t help but wonder why it’s so popular among the users. It offers excellent security protocols including two-factor authentication and for the same reason, people, especially hackers, are left wondering for ideas on how to hack Gmail account password. However, in the world of cyber crime, anything is deemed to be possible. 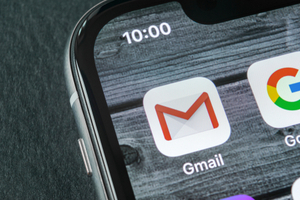 People wish to hack Gmail for various reasons – whether they want to keep a check on their partner’s activities, find out whom their kids are exchanging emails with, or simply keep a track on your employee’s activities. While Gmail has strict security protocols, there are some Gmail password hack tools that can help you hack Gmail account password. It’s surely not easy but we won’t say it’s impossible. Let us discuss some of the ways in which you can hack a Gmail account password. Side by side, we will also be telling you how each hack works and how you can prevent the hack. How to Hack Gmail Account Password? How Can We Prevent? Due to its trustworthy layout and appearance, phishing enjoys the highest success rate compared to the other tools used for hacking Gmail account password. Also, phishing is the most common tool used for Gmail hacking. No technical knowledge is required to get the phishing page done and this is the reason why this technique is widely used for hacking Gmail accounts. Phishing is a process in which a hacker creates a duplicate copy of a website’s page with the intention of stealing user’s password or any other sensitive information such as personal information or credit card details. When a hacker intends to hack a Gmail account password, he would create a duplicate page of Gmail’s login page in a different URL, for instance, google.com, gmaail.com, or any URL which pretends to be legitimate. When a user opens this duplicate copy of the Gmail login page, he/she may think of it as a real Gmail page without finding it suspicious. Unknowingly, they enter their username and password details on the fake login page which in turn would send their details to the hacker who is behind the phishing process. At the same time, the user will be redirected to the original Gmail page but his/her account details will also be taken over by the hacker. There are many ways in which a hacker can fool you into phishing. He can send you links via your emails, social media inbox messages, websites ads etc. One click on the link and you can land up on the duplicate Gmail login page. The only way to prevent your Gmail account password is to carefully inspect the URL of the page before entering your details on it. Closely see the URL shown in your browser. Unless it’s not written as https://mail.google.com/ or https://www.gmail.com/ then never open the link. Also, the green color secure symbol (HTTPS) provided in the address bar will also help you identify if the website page is legit or not. Password grabbing is another common method of hacking a Gmail account password. Most users are not aware of this method but professional hackers are already acquainted with it. Before we begin explaining how password grabbing works, let us ask ourselves a question: how many of us use the same password for every website? The problem is, not many people use different passwords for every new account they make on the internet. For their own ease, they use the same password because they find it difficult remembering different passwords. This lead to hackers for using it as an opportunity against those who use same passwords for their online accounts. Taking user’s security neglection as an advantage, hackers hack Gmail account passwords and named this process as password grabbing. Photo grabbing works when hackers develop a low-quality website on their own and then trick the user to register an account on that website. The minute the user enters their credentials on the website, all the data falls into the hands of hackers. Another way photo grabbing works is when users register accounts on low-quality websites using the same login details they use for their Gmail account. Since low-quality websites are poorly protected and are not secure, they are susceptible to hacks. Hackers penetrate into such low-quality network database and grab the password of a particular user to get access to their Gmail account. How to Prevent Password Grabbing? First and foremost, you should never trust unreliable and low-quality websites and avoid from registering an account on them. Even most reliable websites can be susceptible to cyberattacks. Secondly, always use different passwords for different online accounts. Make sure you create a unique password for every account by using a different combination of letters and numbers. This will reduce the hacker’s chance to grab your password and eventually stop him/her from hacking your Gmail account. On opening your web browser and visit a malicious website, you may be prompted to install a browser extension or an add-on. Once you click on the add-on and install it into your browser, it will carry out all the tasks which have been described by the hacker who has created the malicious add-on. The add-on may conduct tasks without you knowing such as posting an update on your G+ wall, following a Google page, a person, or inviting friends for an event, etc. You wouldn’t what’s going behind your back unless you check your Google activities from time to time. How Browser Extension Gmail Hack Works? The hacker can snoop into your Google account using the installed extension instead of discovering your login details directly. This is how Gmail account is hacked using an extension. The hacker can take charge of your account and perform various actions in it. How to Prevent Browser Extension Gmail Hack? The best way to tackle browser extension Gmail hack is to monitor your Gmail account activities regularly. There’s a feature specially designed for this purpose which is known as Google History. You should never trust any malicious website or a third-party website prompting you to install an extension in your web browser. You should only install the extensions or add-ons from the trustworthy and reliable publishers. As long as you’re not installing the add-ons, you’re safe from the browser extension Gmail hack. A keylogger is a software tool which is used to record keystrokes of a computer. Whatever you type using a keyboard can be stored using this tool. This software tool can be installed on your computer and with the help of it, you can find out all the account information as well as the passwords. Hackers are making use of a keylogger for hacking a Gmail account password. How Does Keylogger work for Hackers? A keylogger can be used by anyone; no technical know-how is required to implement them. Once a keylogger is installed on a computer, it begins to record all the keystrokes made on the keyboard. All the usernames, passwords, credit card details, and other sensitive information typed on the keyboard gets stored on the internal servers of this software tool. Apart from recording the account details, it saves every keystroke, including the chat messages sent by you. Another benefit keylogger offers to hackers is that they can install the program without gaining physical access to the target computer. This way, the hacker can remotely hack the Gmail account of a user using the keylogger software. How to Prevent Key Logger Gmail Hack? Keyloggers shouldn’t concern you much as long as you’re using your own personal computer which is not being used by another person. However, when you’re using a public computer or your friend’s computer, your account information can be compromised via a keylogger. Once you have downloaded a powerful software which blocks hacker’s access to your computer, you’re safe. On the other hand, you can also prevent keylogger Gmail hack by using on-screen keyboard when typing login details and passwords. This way no keystroke will be recorded anywhere. Also, it is always a good practice to keep changing your passwords once in a while. Make sure you leave no room for the hackers to hack your Gmail account password in any way possible. We have added social engineering as a method for hacking Gmail account password in the last because it doesn’t require any technical knowledge. Social engineering is all about collecting information about someone whose account you wish to hack. All the information such as DOB, mobile number, address, mother’s name, nickname, native place, etc., is what you require of someone in order to hack their Gmail account. Sometimes users set weak passwords which give the hacker the best chance to guess it easily, thus facilitating the task for the hackers to hack their Gmail accounts. The majority of the websites have a common password reset option known as Security Question. When you’re registering an online account, you are asked various security questions which may be related to your personality, your hometown, your family or your hobbies. Make sure to answer these questions carefully and provide tricky answers so they are not easily guessed by a third person. The purpose of asking security question is to offer a gateway to your account in case you forget your password. Some users set easy and weak passwords and security questions so that they can easily remember them. First name, last name, nickname, mobile number, DOB, hometown, etc., are some of the most common passwords users set for their accounts. However, this negligence can put their personal data at risk. When you set easy or weak passwords, you allow hackers to easily guess the passwords or answers to your security questions and as a result, they gain entry to your Gmail account. Never set a weak question and give a weak answer to it. This will facilitate the hack to make a random guess and gain access to your Gmail account. You should always make an effort to keep your recovery phone number and email updated. As far as passwords are concerned, they should be set using different combinations of words, numbers, and other characters so it becomes difficult for anyone to guess it.